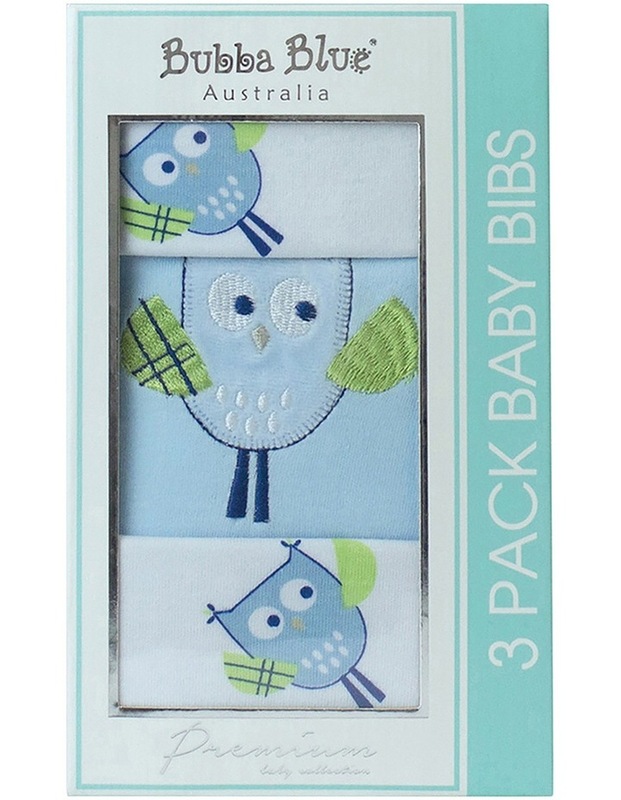 A lovely gift or a stylish practical solution, these three bibs are all cotton for superior softness. Side easy fastening closure. Newborn. 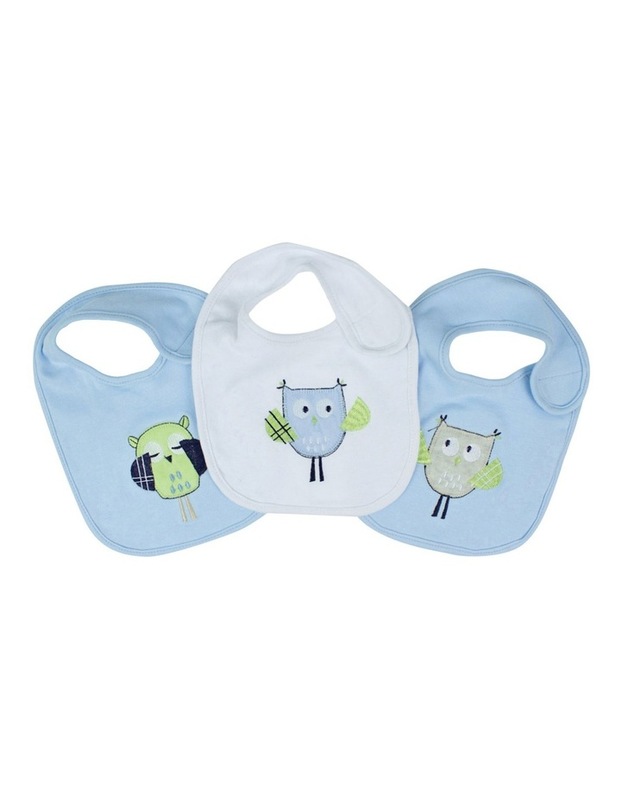 From the Bubba Baby Boy Owl collection.